Poetry for Children: Celebrate Pride! Play marching band music in the background as you read this poem aloud enthusiastically. One source is SoundCloud.com/lumarchingband. Read the poem again and invite children to cheer along with the phrase Hip Hip Hooray! as you read the rest of the poem. Share experiences watching, attending, or participating in a live parade. Pair this poem with the picture book This Day in June by Gayle E. Pitman (Magination, 2014) and explore the details and diversity in the illustrations. 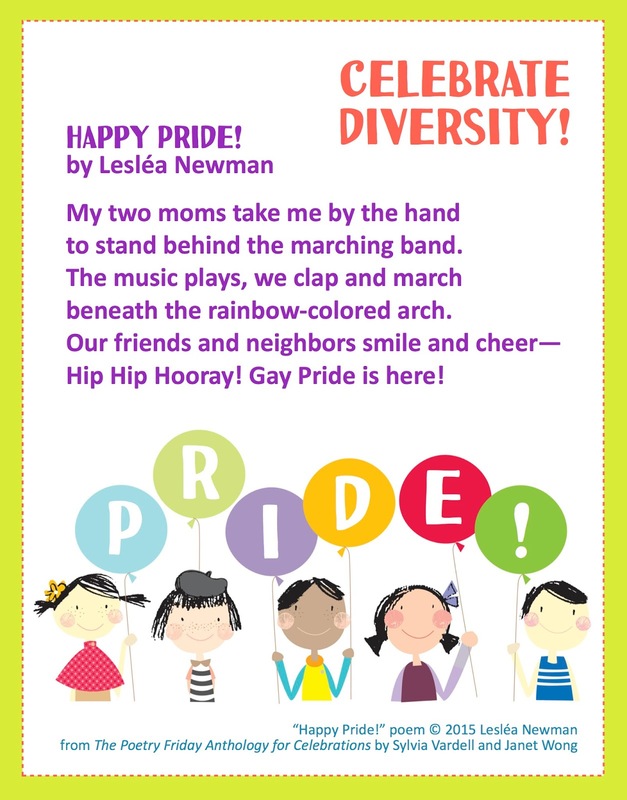 Connect with another “parade” poem, “Independence Day” by Linda Dryfhout (July, pages 186-187); selections from Poems to Dream Together/Poemas para sonar juntos by Francisco X. Alarcón (Lee & Low, 2005); or the picture book Heather Has Two Mommies by Lesléa Newman (Candlewick, rereleased, 2015). Hooray for equal rights, and celebrating being who you are!